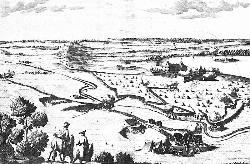 troops of cavalry behind them. 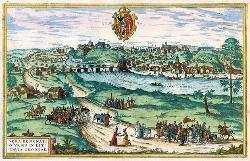 From www.alteagallery.com. 18th Cent. 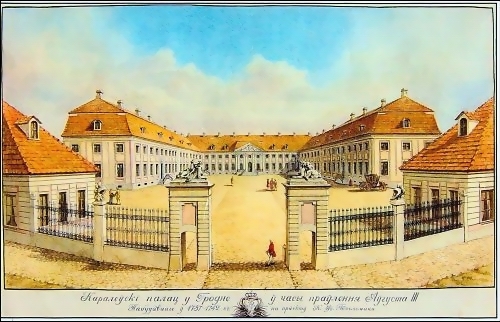 Royal Palace in Hrodna. 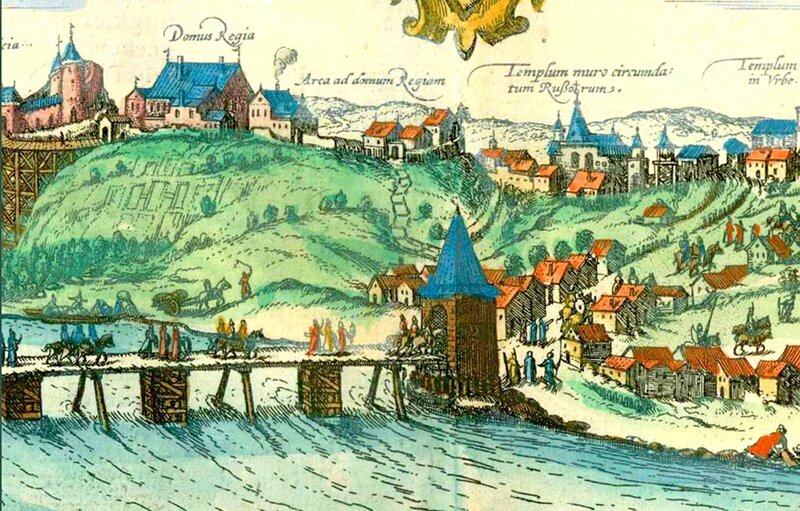 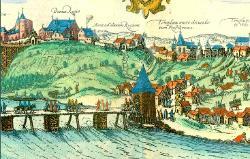 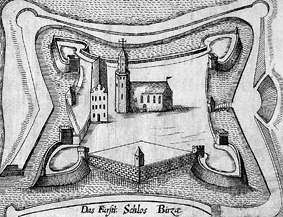 drawing by Johann Adelhauser, 1567. 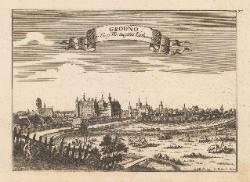 First edition was 1575. 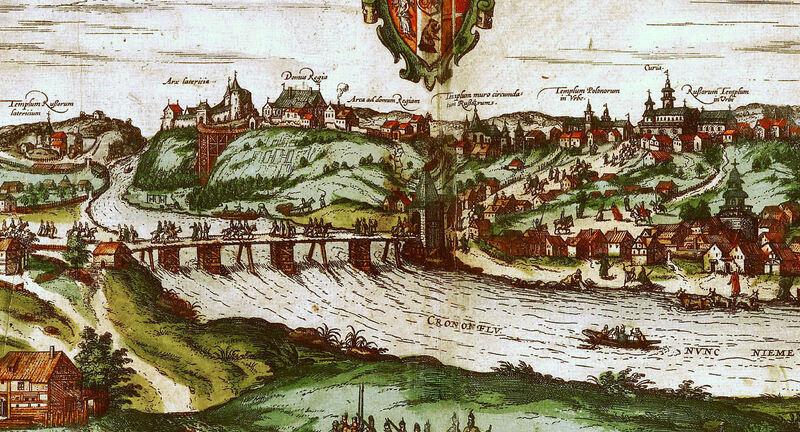 Also a DETAIL image. 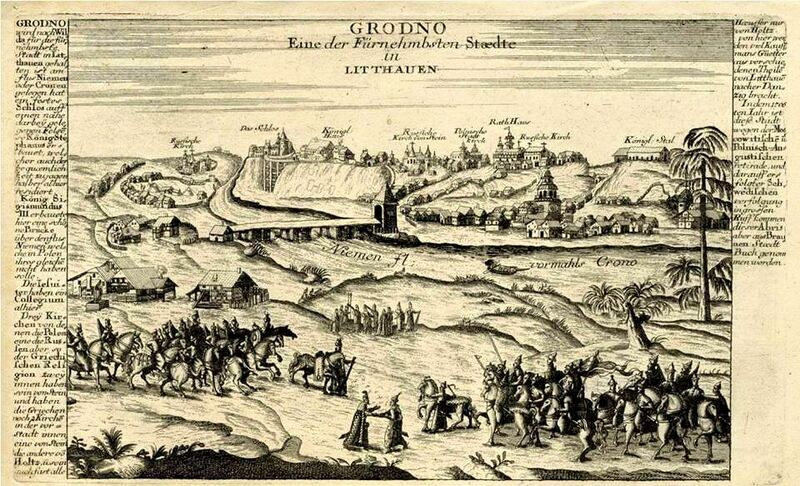 palace on the mountain, there the King of Poland has his seat." 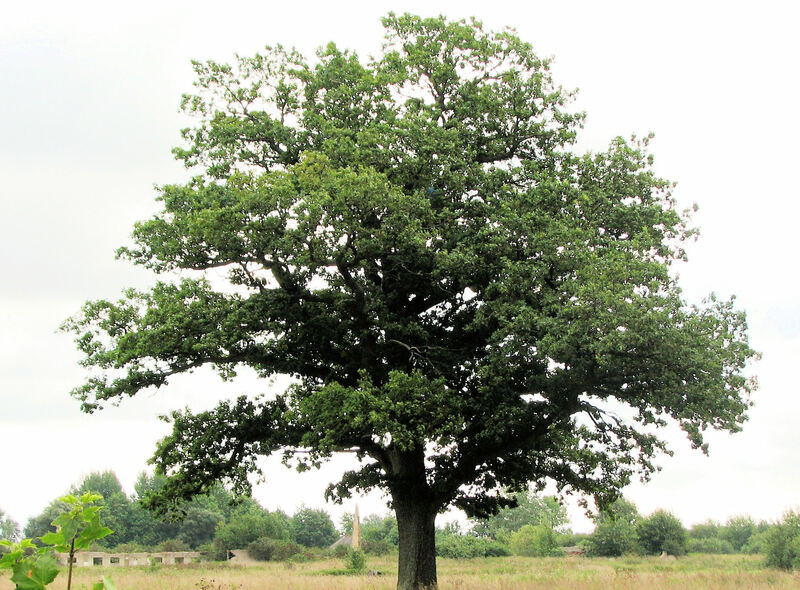 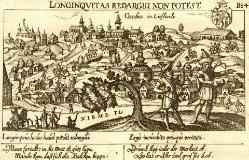 Sveciae etc. Regi Sigismundo III,"
Augsburg. 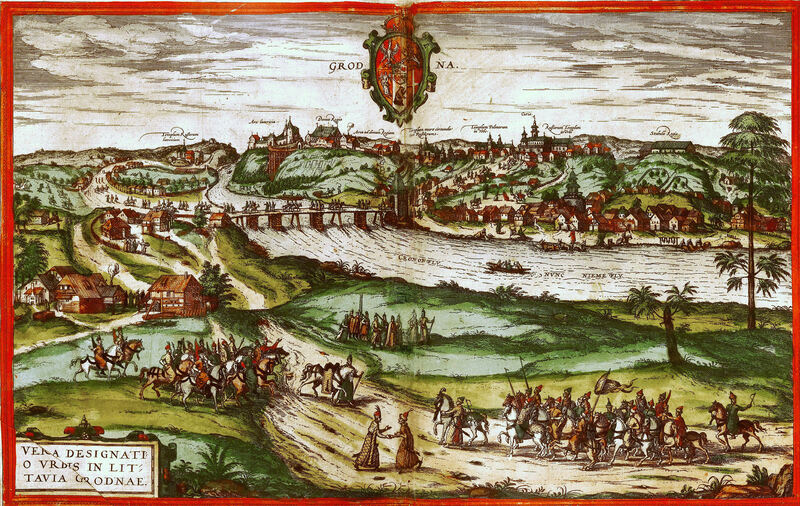 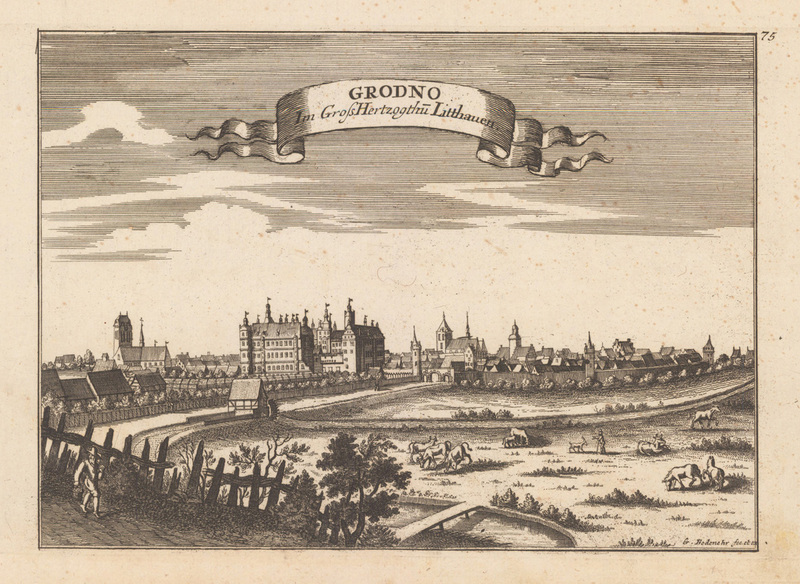 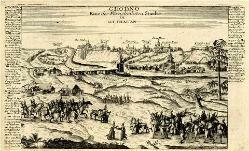 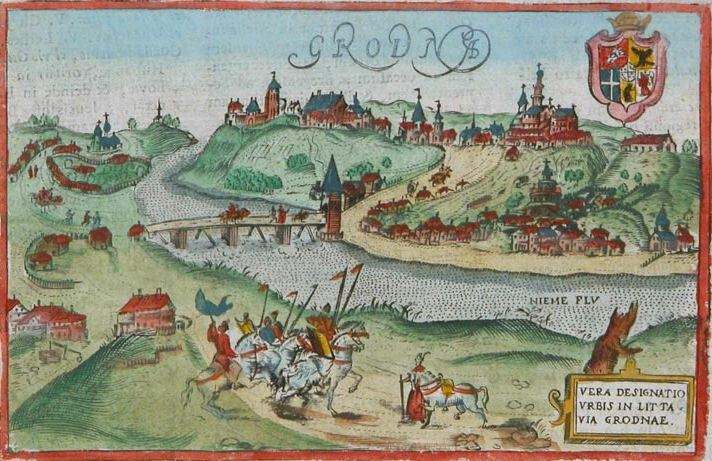 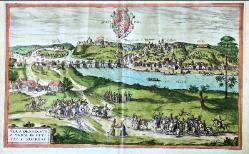 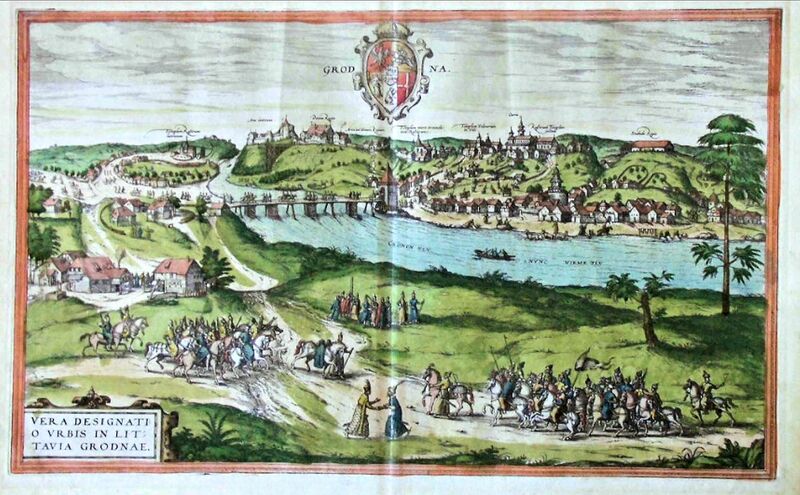 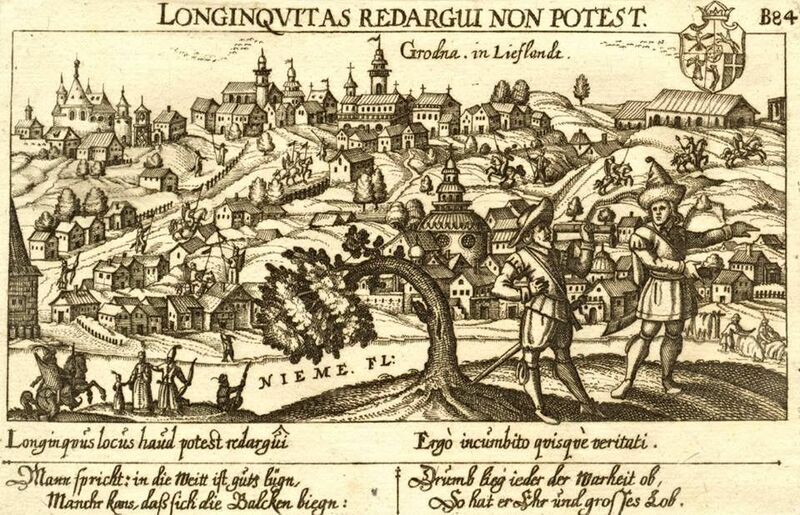 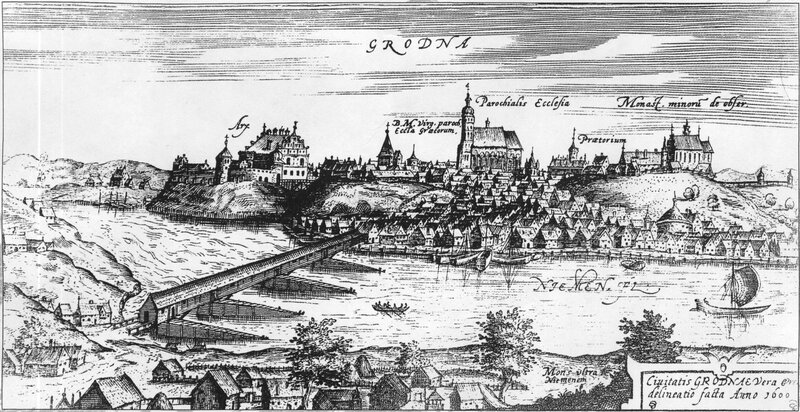 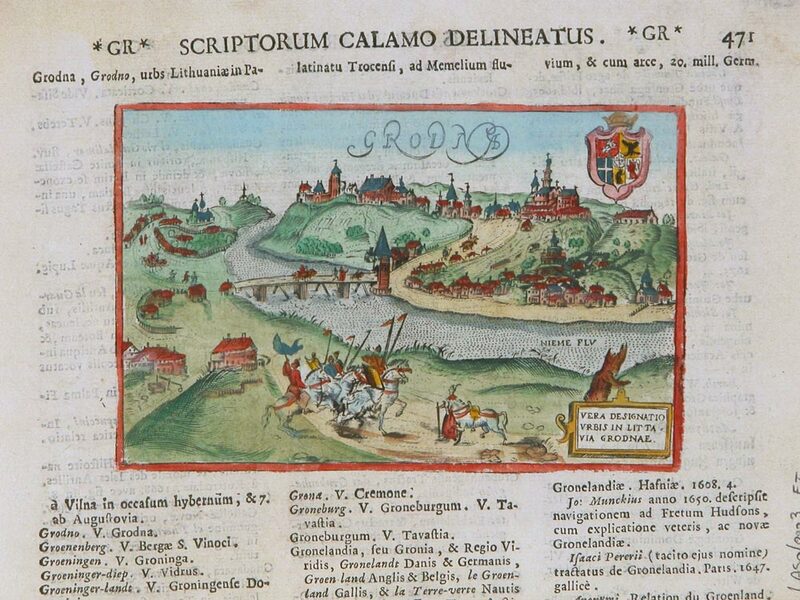 "The Kings of Poland,"
view of Grodno. 42.3 x 56.8 cm. 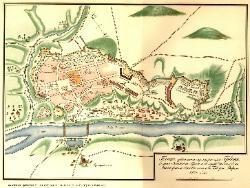 Biržai (Birsen (German), Birże (Polish), Birzhai (Биржай, Russian - pre-1917 Биржи), and בירז/Birz or Birzh (Yiddish). 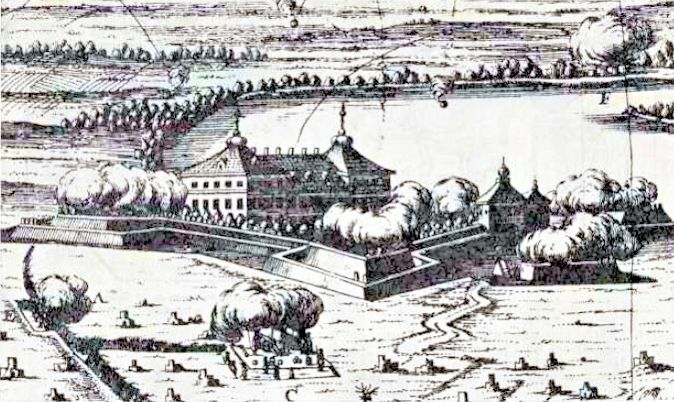 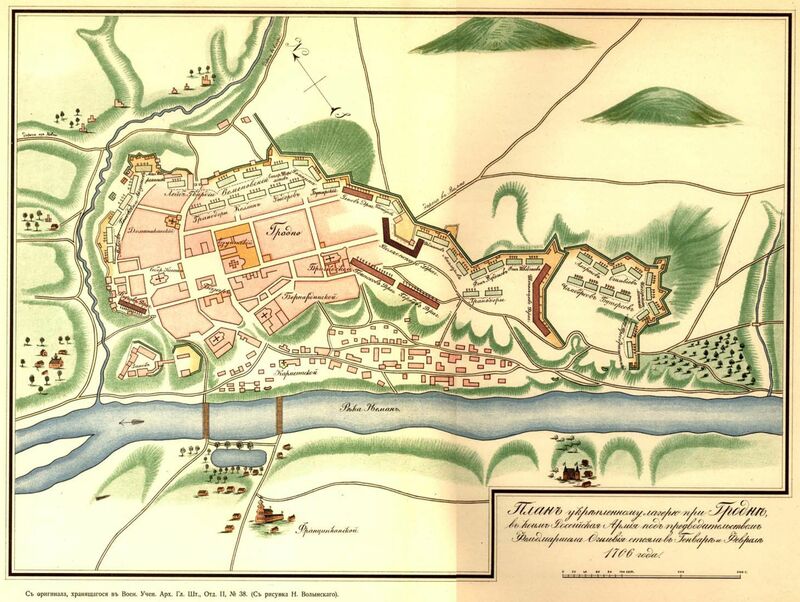 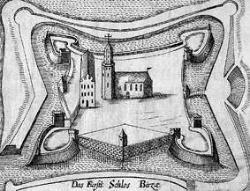 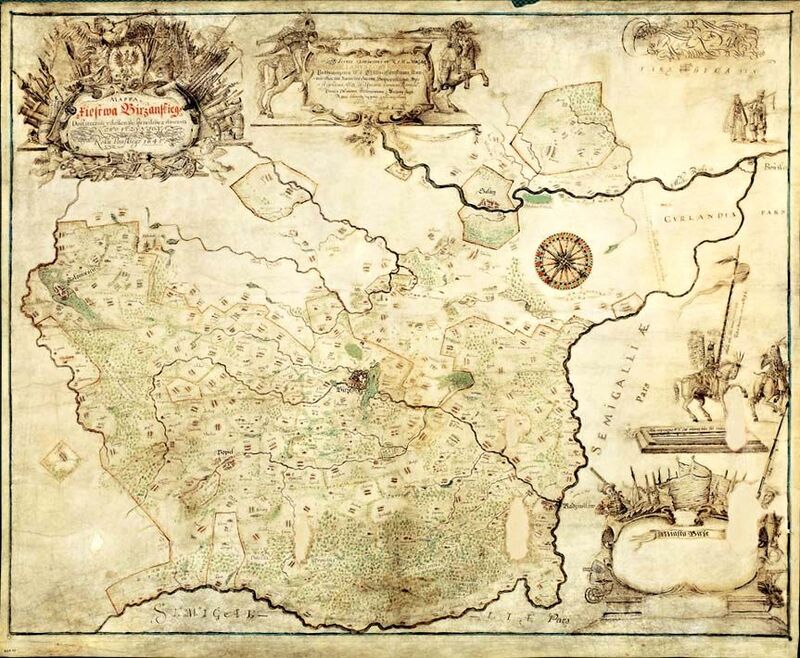 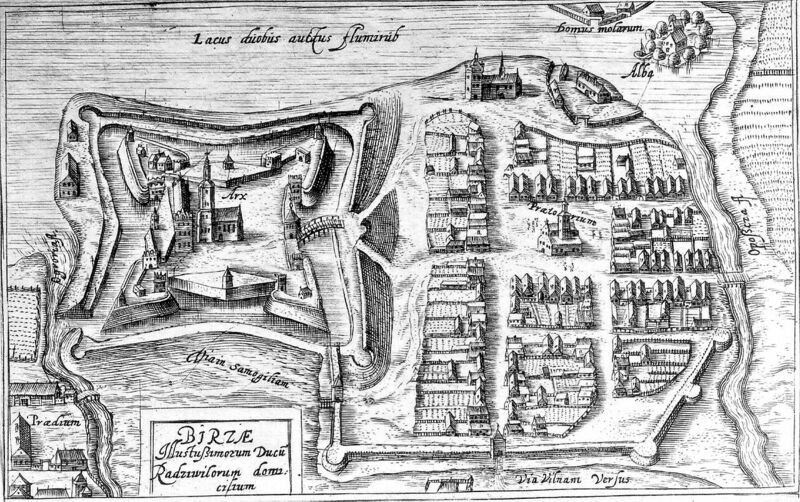 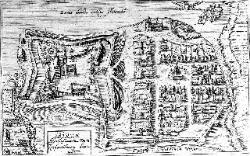 c1625 Plan of Biržai Fortress. 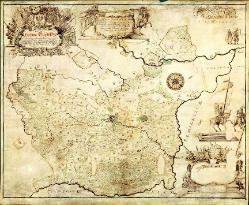 From www. 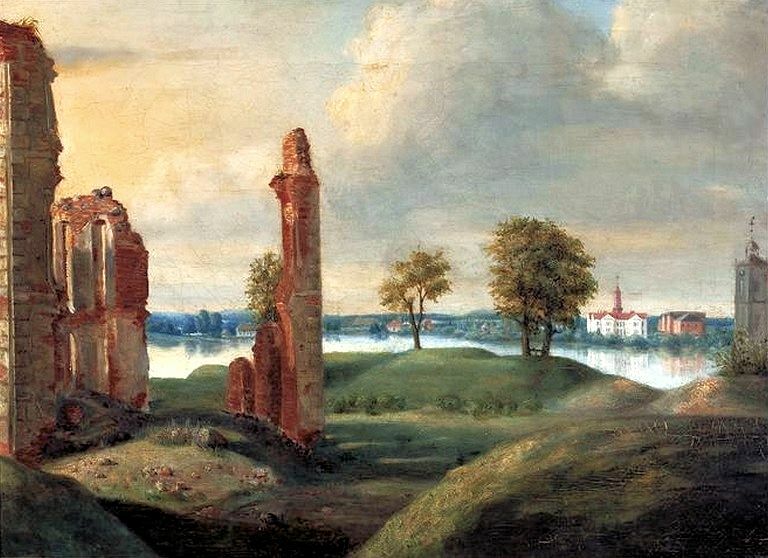 Smuglevičius): "Ruins of Biržai Castle,"
Swedes." 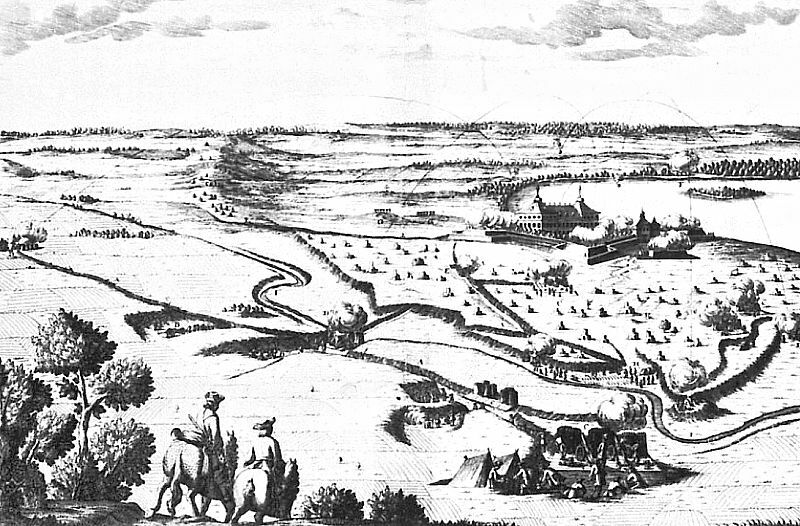 Also a DETAIL image of the fort.